Cullman Teen Scene will be attending the regularly scheduled homeschool skating. Hope all of the teens will come hang out with us!!!! The price is $5 a skater. 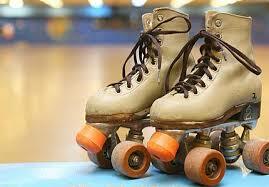 Please note that this skate session is open to all homeschoolers regardless of age. Please RSVP to Deb Spradlin at everestacademy1@gmail.com. I will be attending with my teen, You know how disappointing it is to a teen to drive all the way out to something and there not be any teens there.